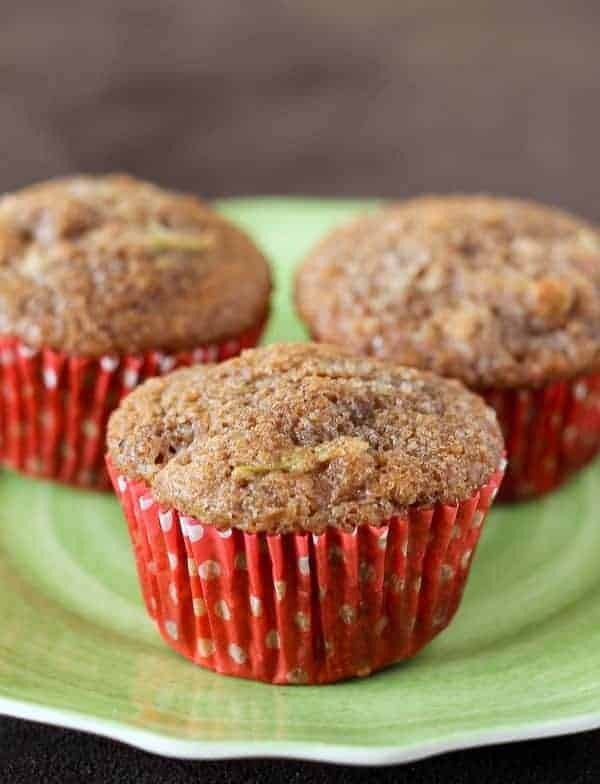 These apple bran muffins are easy to make with ingredients that you probably already have in your pantry. 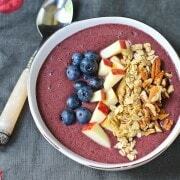 Low in fat and high in fiber — they’ll make a great breakfast for your whole family! I’m always looking for healthy breakfasts that I can prep ahead of time and quickly pull out in the mornings and feed to my kids. Partly because I like to feed them healthy breakfasts. But mostly because I’d rather drink coffee than spend a lot of time in the kitchen first thing in the morning. My husband loves it too — something that he can grab and take into the bathroom while he shaves or something he can grab on the way out the door. Meanwhile, I get to drink coffee. I joked on my Facebook page yesterday about giving up coffee. I went without it for two days because I had a terrible stomach flu (seriously, I don’t think I’ve ever felt worse in my life). Which explains why it was (and is) a little quiet here this week. I have some catching up to do and a big week planned for all of you next week. Anyways, I’m getting off topic. So I went two days without coffee because it didn’t sound good. I had terrible headaches, maybe from the flu, maybe from the lack of coffee. I always think — I’ve already started the coffee detox, maybe I should just continue and cut it out for good! But then I wake up and smell the coffee (literally and figuratively) and realize I have two toddlers to take care of, one of whom likes to get up before 6AM every day. Pour me some coffee and pass me a muffin. Stat. 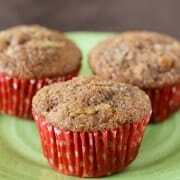 These apple bran muffins are simple top make and are nutritious and so tasty. I’ve made similar blueberry muffins before but this time I actually used a combination of butter flavored olive oil and Greek yogurt rather than butter. 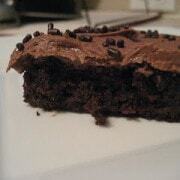 They turned out amazing and even better for the waistline. If you don’t have butter flavored olive oil you can substitute with an extra light olive oil or butter. Using a mixer, beat oil, yogurt, and sugar on high until combined. Beat in eggs and vanilla until combined. With mixer on low, alternate adding flour mixture and milk (about half of each at a time). Fold in chopped apples. Divide into prepared muffin cups and sprinkle tops with turbinado sugar. Bake for 20-25 minutes. Verdict: Loved these and felt good about eating them for breakfast. With my coffee. Clearly. Husband’s take: He loved these. Kids did too! This post is NOT sponsored, but I did receive STAR Fine Foods Butter Flavored Olive Oil to try at no cost. Hi, Rachel. These muffins sounds good. I am counting calories, could you yell me the calories content per muffins? I would love to try them, Greek yogurt in them sounds good. Thanks! I don’t calculate nutritional values for my recipes due to the variations in brands, etc. But there are lots of great online calculators if you want to do a quick calculation yourself. Hope you love the muffins! Ha! No worries. I always have non-fat Greek yogurt on hand but I understand that not everyone does. As for the butter flavored olive oil, you could easily use canola or just a light olive oil. 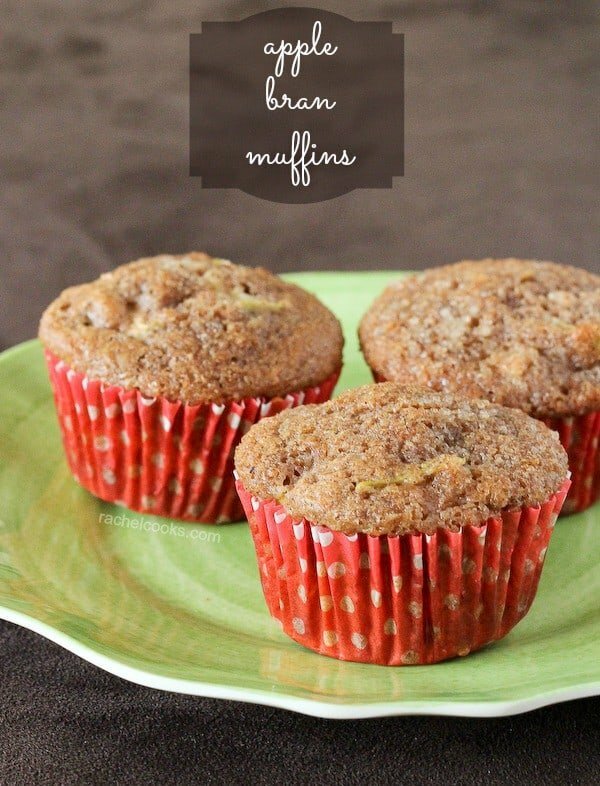 These look so great– I am always looking for healthy muffin recipes and this is perfect! Any time I can give my family something healthy without them knowing it, I do it!! We will definitely try these! Girl, I have to have a cup of coffee and these muffins would be perfect companion to it! I’ve recently given up coffee, it’s SO hard!!! All I want right now, is a big steaming cup with french vanilla creamer. I’ve been having caffeine free a couple times a week, but it’s just not the same. It’s even harder when there’s something yummy like these muffins and all I want to do is relax with my muffin and my coffee. I think maybe I could make an exception for these though…. 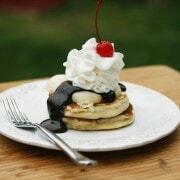 They look just scrumptious, and I’m always looking for healthier breakfast options, that don’t feel or taste healthy. Yum! Stomach flus stink! I never want coffee either and trust me I love my coffee! It’s so hard to give up. These muffins look great! I always think I would like to cut back on coffee but then I realize that NO ONE would want to be around me. Ever. Love these muffins! going cold turkey on caffeine is rough–my doctor told me to never do it again (if possible)–I know when you’re sick it cant’ always be helped. Johns Hopkins University had an interesting study that proved the addiction of caffeine is real for some people. I am one of them. I don’t have butter-flavored olive oil or extra light olive oil, and I’m hesitant to buy a bottle of either just for one recipe. If I use butter, should I use 3 Tbsp.? Or how about canola oil? I’ve also seen recipes where applesauce is used as a substitute. Would a combination of applesauce with a small amount of olive oil work? If you think so, what amounts would you recommend? I would do canola or butter — 3 tablespoons, yes. I wouldn’t do the applesauce only because I already use non-fat Greek yogurt in these and a little fat will help the texture and moistness. I have never heard of butter flavored olive oil…I gotta try that! I love muffins for the same reasons! I have actually only ever used blueberries in bran muffins and I am totally diggin this apple version! Pinned! I tried doing a detox/cleanse about a month ago and I think not having coffee was the worst part. I seriously felt awful the second day, so the detox did not last long :) I also love having quick and easy breakfasts ready for me on weekday mornings…these healthy muffins look delicious, Rachel! Oh and I’m glad you’re feeling better!